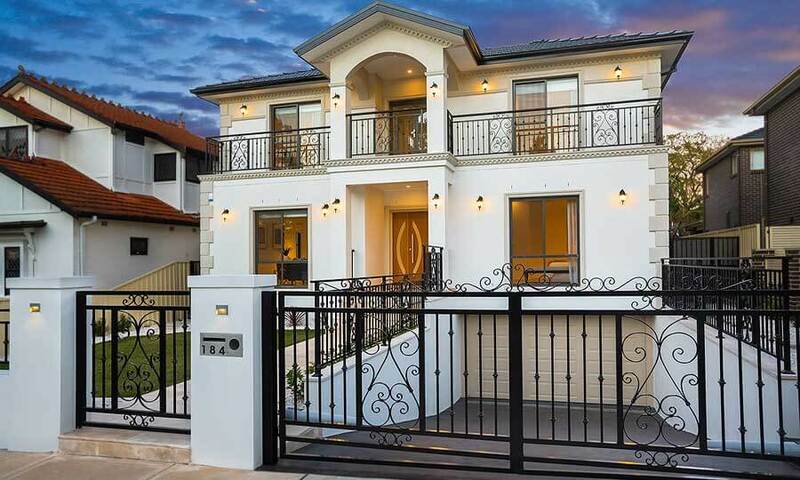 Situated opposite the renowned child-friendly Strathfield Park, you will discover this brand new, double brick state-of-the-art home, architecturally designed with classic luxury in mind. Be welcomed by elegant European heated marble floors and stylish design throughout, as you marvel at the enormous stained timber entertainer’s deck which serves as the versatile centrepiece of the home. The ground floor offers an expansive floor plan with two living rooms and casual dining room, both of which overlook the pool and yard, as well as a well-appointed gourmet kitchen with modern SMEG appliances and 40mm Caesarstone bench tops. There is also a guest bedroom with ensuite which completes the ground floor. Ascend the marble staircase underneath a stunning ball chandelier to the upper level and be greeted by a sun-drenched glass atrium, another casual living room, study nook and four generous bedrooms, all complete with floor to ceiling tiled ensuites, a balcony each and built-in wardrobes, except for the master which features a walk-in robe. Retreat to your level grassed yard, great for the kids to play or take a swim in your sparkling in-ground swimming pool, complete with its own outdoor bathroom. This masterpiece offers basement parking for four vehicles plus storage, ducted air-conditioning, security intercom system and remote control front gates. Conveniently located close to local prestigious schools, parks, shopping precincts and major transport, this home is perfectly suited for the growing family seeking a brand new residence with that touch of classic luxury. Showcasing the absolute latest in quality, design and sophistication, discover this brand new double brick residence perfect for the growing family.